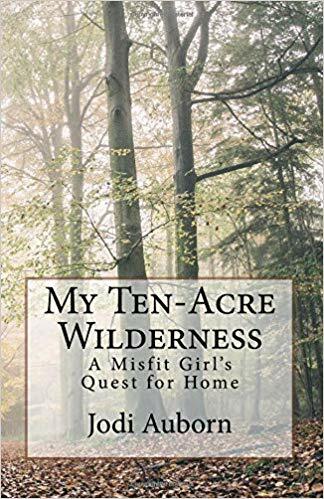 A coming-of-age memoir by a sensitive, talented woman, My Ten-Acre Wildernesstakes us back to simpler, more natural values. Jodi Auborn was the only child of parents who were, in their own ways, nonconformists. Early on she learned that she could not have certain small luxuries because the family values involved thrift and hard work. 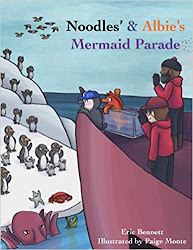 She learned to get along with wild animals – rabbits, a ferret, even frogs – for pets, and the outdoors as her private haven. The first time she truly recognized a sense of belonging was in the midst of a dark stormy night, at her grandparent’s house in Ticonderoga, New York where vintage Christmas ornaments gave a feeling of security while the snowstorm outside called to her adventurous inclinations. When she was ten, the family constructed and moved into a log cabin in the woods of the Adirondacks. After much wishing, she finally got a dog, and at age twelve, a horse, Sally. With Sally she explored the forest with its derelict houses, abandoned trailers, a favorite pond and farmers’ fields. Because physical and mental deficits made it hard for her to socialize well at school, her close friends were few. The outdoors became her refuge: “It was better than any playground; it was my own world.” As an adult she remained restless, living a nature-centered existence that kept her close to the north woods and waters. Auborn’s writing talents were and are her saving grace. From an early age, perhaps in response to her marked differentness from her peers, she began keeping a journal and writing short stories symbolic of happenings in her life. Over several iterations, she wrote a novel about her alter ego, a bold girl named Kat who could freely do what Auborn was forbidden or too shy to do. She also composed poetry. Her girlhood poems and diary entries form part of the memoir, remarkable for their maturity and insight. 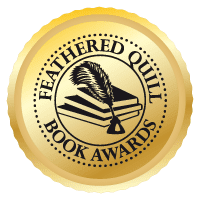 When Auborn grew up, her first novel about Kat was published, its title, Stormwind of the North Country, redolent of that early revelation at her grandparents’ home. That book and a sequel are designed for teen readers, while a third offering, Matthias: The Ghost of Salvation Point, written to honor her father, is targeted to middle-grade readers. 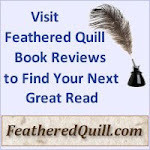 Her writing is skillful and secure, putting the reader in the places she has explored. My Ten-Acre Wilderness is peppered with photographs of those places and the people and animals she loved. In an especially poignant scene she recalls her return to the abandoned cabin of her idyllic childhood; there in the ruins she struggled with bleeding fingers to extract the “time capsule” notes she and her father had composed and hidden there years before. Quill says: Today Auborn works guiding campers, and lives quietly content in a 1930s vintage cottage near her childhood home. She has garnered a devoted readership and will doubtless gather more fans with these moving recollections. 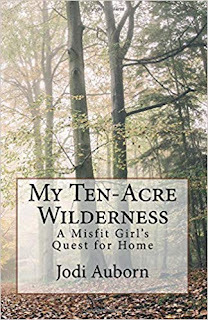 For more information on My Ten-Acre Wilderness, please visit the author's website at: www.jodilauborn.webs.com.